One day, he strode into the RPR-PARNAS party headquarters and loudly announced: “I know what we have to do. We’ll write a report, called Putin.War, publish a bunch of copies and hand it out on the streets. We’ll tell how Putin unleashed this war. 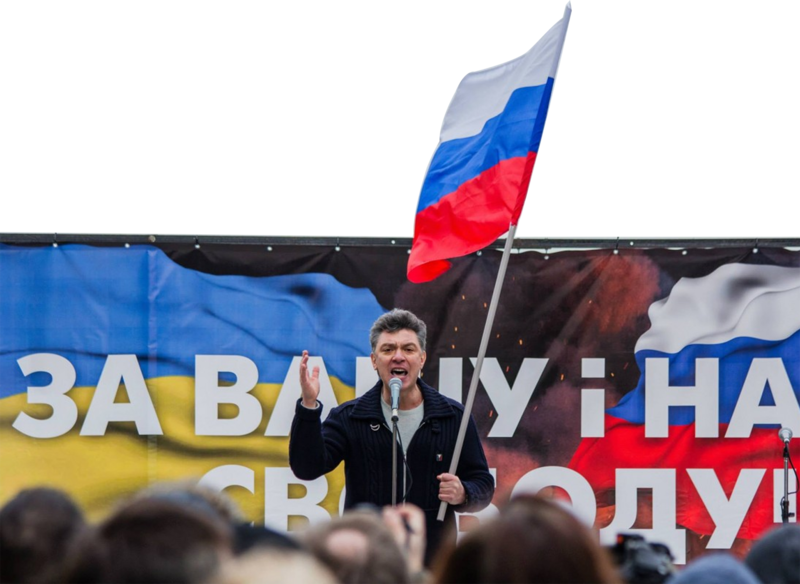 It’s the only way we can we beat the propaganda.” Nemtsov triumphantly looked around at everyone, the way he always did when a good idea came to him. Starting in early 2015, Boris began collecting material for the report. He worked extensively with open sources, and found people who could share information. 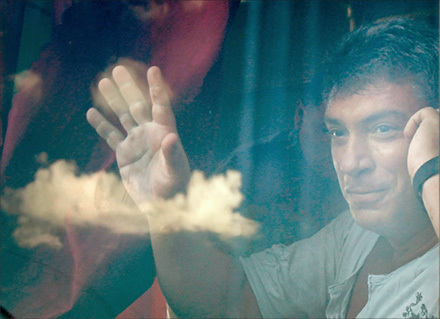 Nemtsov believed that only by attempting to stop the war could one display real patriotism. The war in Ukraine was a despicable and cynical crime for which our country was paying with the blood of our citizens, with an economic crisis and with international isolation. No one in Russia needed this war except for Putin and his entourage. the text of this report. On February 27, 2015, he was murdered on the Bolshoi Moskvoretsky Bridge, directly outside the Kremlin walls. His colleagues, friends and others who considered this work important joined together to complete Nemtsov’s project. The materials that Boris had prepared formed the basis for this report. The table of contents, hand-written notes, documentation – everything that he left behind was used in the preparation of this text. Our task is to tell the truth about the Kremlin’s interference in Ukrainian politics which led to the war between our peoples. It led to a war that must be immediately stopped. This report has been translated into English and published with the support of Free Russia Foundation. We are committed Russians consolidating our efforts to rebuild freedom and democracy in Russia, defend core human values and rights and restore Russia's path as a global citizen. The Free Russia Foundation is a nonprofit, nonpartisan, nongovernmental U.S.-based organization, led by Russians abroad that seeks to be a voice for those who can’t speak under the repression of the current Russian leadership. We represent and coordinate the Russia diaspora. We pay special attention to those who have recently left Russia due to the considerable deterioration of the political and economic situation. We are focused on developing a strategic vision of Russia 'After Putin’ and ‘Without Putinism’ and concrete program for the transition period.